Prevents flea eggs from hatching for 4 weeks. Kills flea eggs and breaks the flea lifecycle. For dogs, puppies, cats, and kittens. Cleans and deodorizes. 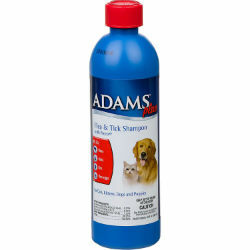 Kills fleas, brown dog ticks, American dog ticks, and lice.